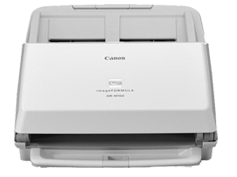 Canon DR-M160 Scanner DR-M160II offers superb accuracy with a precise feeding mechanism capable of handling variety of documents. The Automatic Colour Detection differentiates colour documents from your black & white for easy scanning. Simplex: 200dpi 60 pages/min.300dpi 60 pages/min. Duplex: 200dpi 120 images/min.300dpi 120 pages/min.